Beverly Marsh received her Bachelor of Science degree in Biological and Environmental Engineering from Cornell University and her Juris Doctorate degree from The Ohio State University Moritz College of Law. She is admitted to practice law in Ohio and is also admitted to practice before the United States District Courts for the Southern and Northern Districts of Ohio. Bev is also a registered patent attorney before the United States Patent and Trademark Office. Bev's practice includes the litigation of patent, trademark, trade secret, copyright, and other intellectual property claims. She has experience in both trial and appellate work, including the successful representation of a client before the Supreme Court of New Hampshire and successful appeals before the 10th District Court of Appeals for the State of Ohio. As part of her litigation experience, Bev has represented clients in multi-defendant federal patent litigation throughout the country. Her trademark litigation experience includes the successful representation of clients in counterfeiting cases. 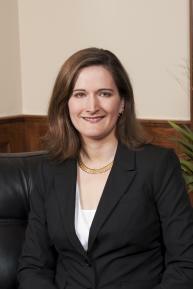 Bev has experience with alternative dispute resolution, having been involved in various mediations and arbitrations, including a multi-party mediation involving more than 10 parties. Bev has experience in the preparation and prosecution of both domestic and international trademark applications. As part of her trademark practice, she has advised clients large and small regarding the protection and enforcement of their trademarks. Bev has also advised clients in domain name disputes and competitive advertising claims, and provided guidance regarding both national and international branding and strategies. Her practice also includes the preparation and prosecution of domestic patent applications in the biological and mechanical arts. Bev has also prepared patentability opinions and conducted extensive prior art searches. Committed to supporting the community, Bev serves in an appointed position on the City of Hilliard Environmental and Sustainability Commission. She also is a legal advisor to the Woodward Park Middle School mock trial team, and participates in the Dublin Chamber of Commerce Literacy Program where she assists first graders in learning to read. F. Michael Speed, Jr., Ph.D.